What do you ArtsVote for in 2018? 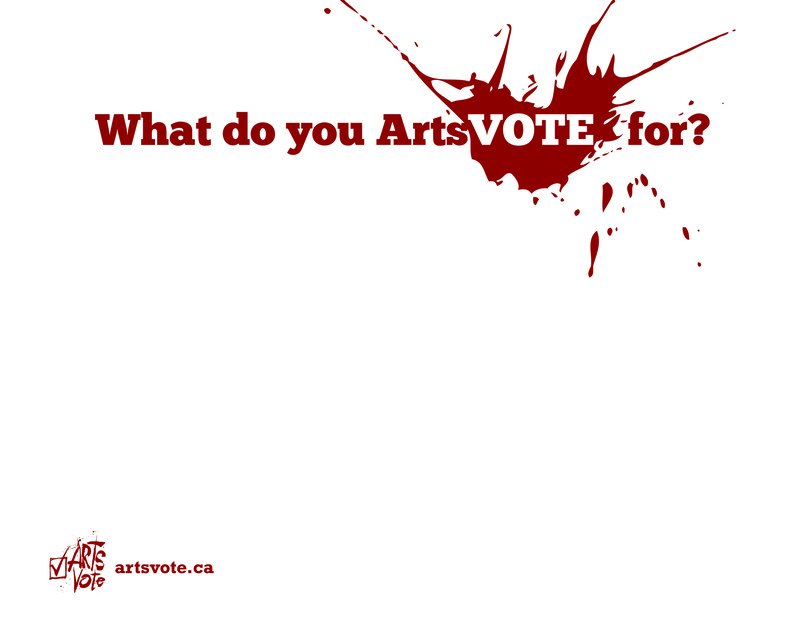 We know you care about arts and culture – but do your Mayor and City Councillors know why? 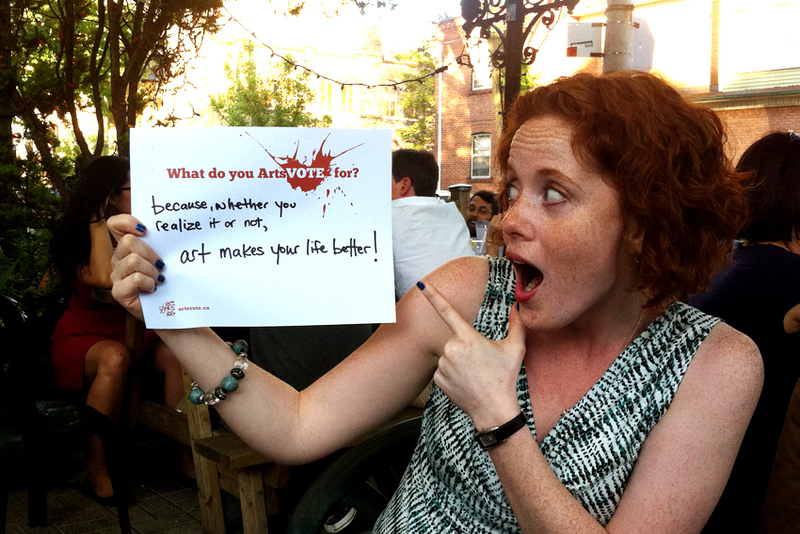 We’re collecting and sharing photos that answer the question What do you ArtsVote for? 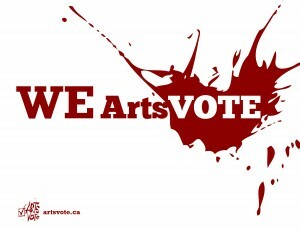 to show that arts and culture touch the lives of all Torontonians, and we take it seriously when we cast our ballots. Do you ArtsVote for a beautiful city? For job opportunities? For student activity programs? For a fun Saturday night in Toronto? Click and print the sign below, or make your own – the more creative the better! We’ll share these images on Facebook, Twitter, and on the website (please make sure you have permission to use any photo you send us!). We encourage you to share your message with your friends, colleagues, and political representatives to help spread the word about ArtsVote. 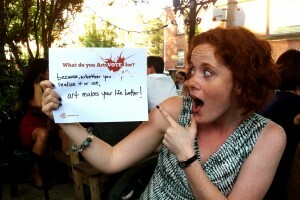 So tell us Toronto…what do you ArtsVote for?? 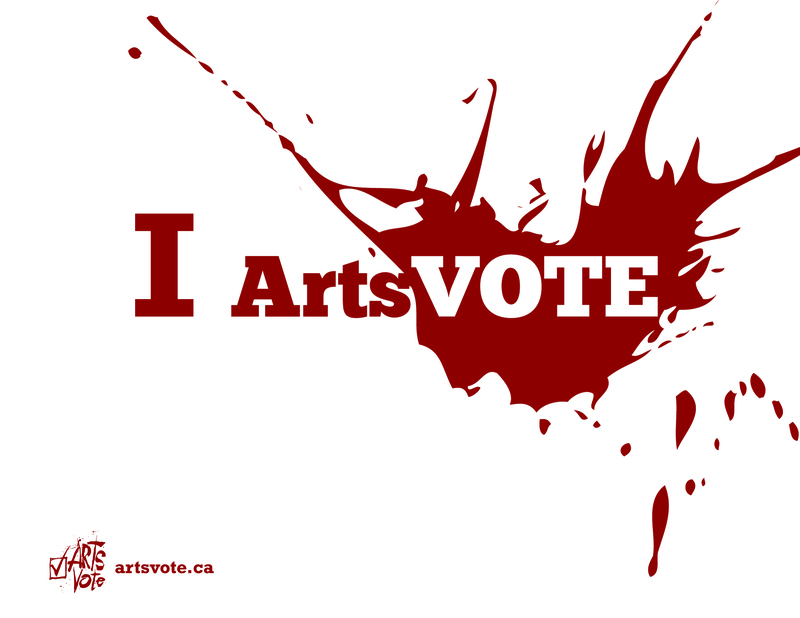 Click the image to open it in a new tab, and print the ArtsVote sign.